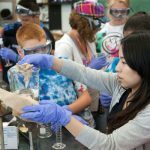 Teresa Beach-Shelow knows exactly what she wants from the Digital Manufacturing and Design Innovation Institute, the UI LABS collaboration that will launch its first-ever chapter in Rockford. Beach-Shelow is the president and owner of Machesney Park-based Superior Joining Technologies, a provider of precision laser welding that meets the high tolerances required by the aerospace industry and the U.S. military. and executive director of DMDII, speaks at the Monday news conference. Given her customers, and the ways in which they use what her company produces, she must keep detailed records. Once Superior sends the parts on to suppliers, Beach-Shelow is required to store those documents for 30 years. That’s seven years longer than she’s owned the company that she started in her garage with her partner, Thom Shelow. When leaders of the Chicago-based institute visited NIU-Rockford earlier this week to announce the site of their pilot chapter – one that is expected to serve as the model for subsequent chapters that will spread from coast to coast – the audience included some prominent cheerleaders. In return, DMDII members will boost their return on investment by making production processes more efficient and agile, by harnessing data to gather more insightful analytics and by enhancing relationships between manufacturers and their customers and suppliers. Membership levels are available for companies of all sizes. 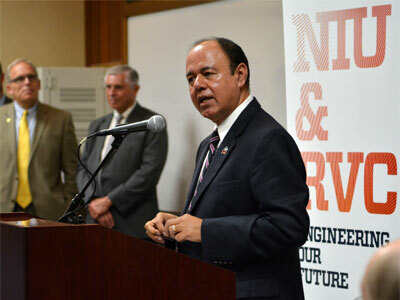 Promod Vohra, dean of the NIU College of Engineering and Engineering Technology, knows how that is accomplished. 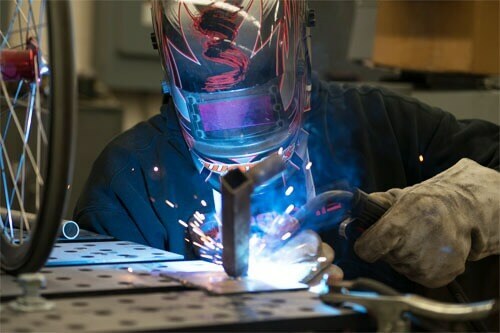 His college’s faculty have spent the last two decades advising Rockford-area manufacturers on how to modernize, grow and sustain their business. 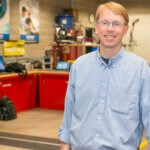 Manufacturing is “the first source of job creation,” he says, and automating processes is critical to its survival. Seating DMDII at the table amplifies that assistance, Vohra says. 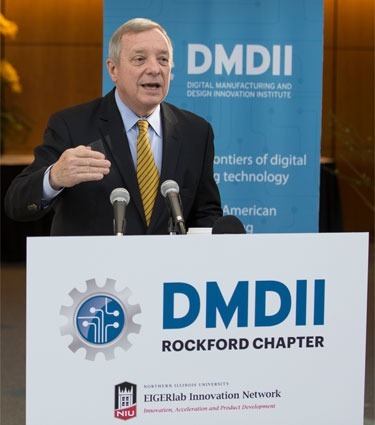 Vohra believes the DMDII chapter will offer “a go-to place” for answers on engineering innovation, modernization, reengineering and optimization and workforce development – and complement the services his faculty already are providing. The college’s operations in Rockford “go hand-in-hand with this announcement,” he says, and will continue to empower the region’s manufacturers. 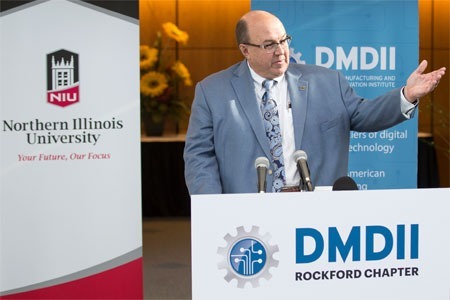 “Rockford has undertaken a journey in the past 15 years to give attention to the manufacturing industry, and NIU has been an intrinsic part of that journey, and we continue to do different things to help them reach that goal,” he says. Beach-Shelow is confident that the Rockford area is worth the investment of DMDII and NIU – and she’s eager to see the work pay dividends. “Every job in our region is connected somehow to the manufacturing industry,” Beach-Shelow says. “The aerospace cluster that we’re a part of is a leader in the United States. 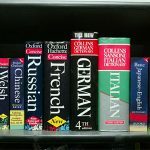 EIGERlab has been able to create a new cluster of software people. I think that marriage of information and innovation with entrepreneurship makes us the right fit,” she says.